Teen Vogue Beauty Director Elaine Welteroth has one of the sleekest cuts I&apos;ve ever seen, one she&apos;s affectionately named the "curly hawk." 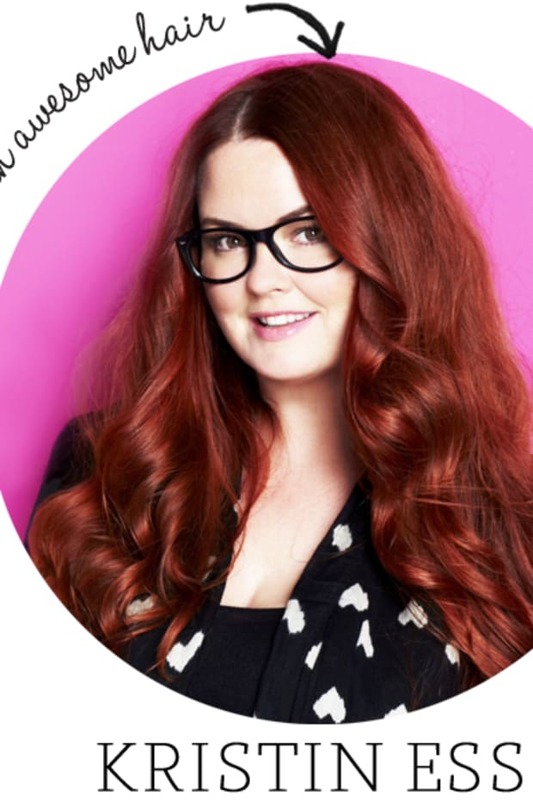 When she&apos;s not overseeing the beauty and health coverage across Teen Vogue&apos;s print, digital, and social media properties, she&apos;s testing out the best products on the market. 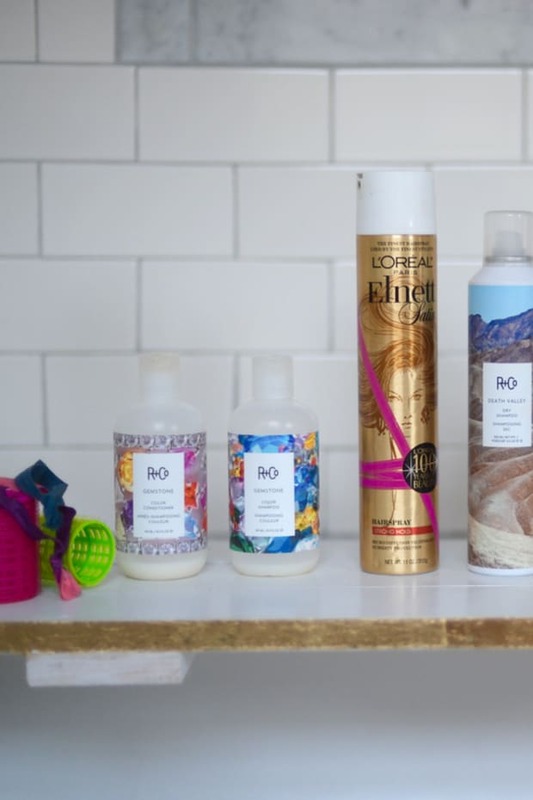 She&apos;s no stranger to the items that make curly hair easier to manage, so I asked her for the tried and true favorites that make her locks happy, healthy, and sophisticated. 1. Purely Perfect Cleansing Crème: "This, my friends, is a straight up game changer. I was an early adopter of cleansing creams and “co-washing” (a term, originated in the curly community, that basically means rinsing with conditioner instead of starting from scratch with shampoos, which tend to leave dry hair even drier). 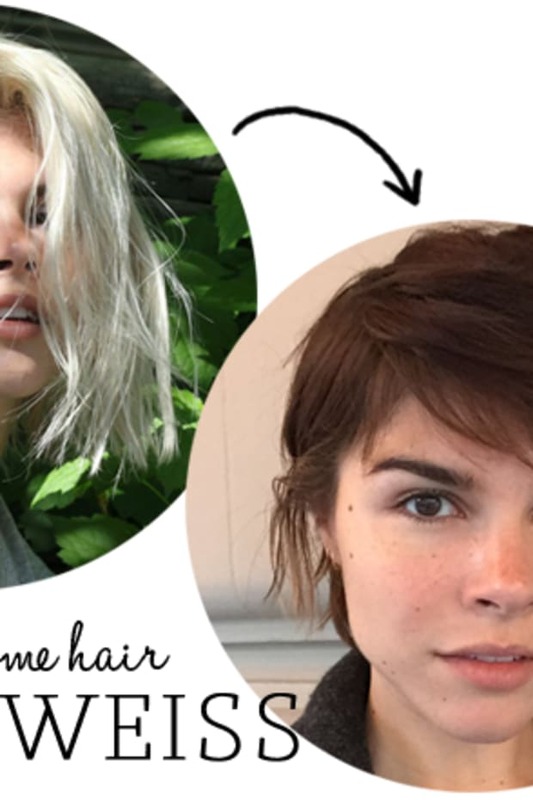 It’s a completely new way of washing your hair—no suds, no harsh detergents, and no need to follow up with a conditioner because (bonus!) it doubles as both. The next-level genius of this Purely Perfect cleansing creme is that it leaves any texture noticeably silkier, shinier, tangle-free and, most importantly, clean. (I know this because I got our entire beauty department hooked.) My favorite part is this: you don’t have to wait until day two or three for bouncy, lived-in curls. For the first time ever I actually love my freshly washed hair on day one." 2. Shu Uemura Ultimate Remedy Extreme Restoration Treatment for Ultra Damaged Hair: "Curly hair is dry by nature. Curly, bleached hair? Double whammy. Still, one of my greatest joys (and guiltiest pleasures) is going to see master colorist Aura Friedman at Sally Hershberger Downtown for highlights. Like an Instagram filter for your hair, her highlights make you look tanner and taller with more defined-looking curls. (Ok, maybe not taller, but whatever.) But then comes the upkeep. To keep my curls from feeling totally fried, I swear by this deep conditioner. It’s creamy satiny deliciousness transforms rough, dry tangles into crazy-soft hair that’s like-new. I like to leave a little in as a pre-styling cream—partly because it’s just too decadent to watch it all go right down the drain." 3. Oribe Supershine Moisturizing Cream: "As a curly girl, I love a good styling cream. But, like dating in NYC, it’s difficult to find the perfect match—they can be too clingy or too smelly or too heavy or too lightweight or they just stop behaving the way they once did. So, I’ve always kept a few on heavy rotation. Until this. Leave it to Oribe to come up with the world&apos;s most perfect styling cream that passes every test. 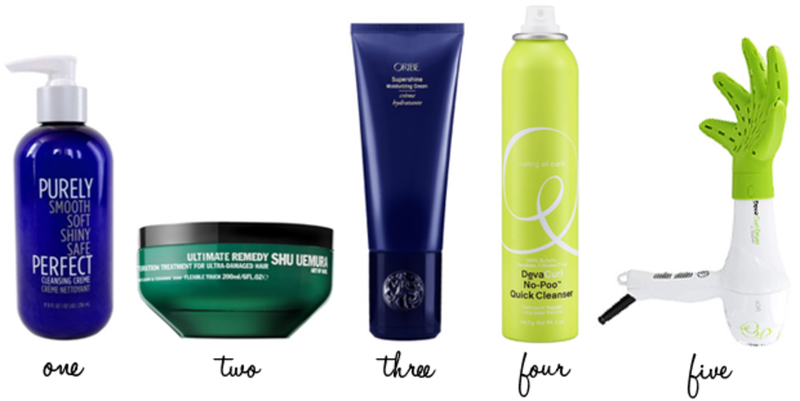 And if I may sneak in just one more Oribe mention, the Hair Plumping Mousse (travel size) is my number one can’t-board-a-plane-without product. I use it every single day to give my "curly hawk” just enough control and definition without feeling over-styled or crunchy. It&apos;s predictably good hair in a bottle. A short haired girl’s dream!" 4. Devacurl No-Poo Quick Cleanser: "I was once convinced that dry shampoo was only for women with limp, straight hair. My experiments with it always left my dark curls tacky and white with residue (gross). Not for me! Then fatefully during beauty awards testing, I discovered this gem that was expertly designed for curly hair. I spray it along my crown at the root before diffusing and boom—more lift and volume, immediately. Without it, my curls look sad and deflated." 5. Devacurl Devafuser: "Meet the ultimate diffuser for curly hair. This green, hand-shaped contraption is the number one most wanted item in my bag of beauty tricks. I bring it on set with me and even pro hairstylists go wild. It has 360 degree airflow, so it plumps up strands from every angle. And because it’s shaped like a hand, yours can relax while it does the scrunching for you. Best. Invention. Ever!"